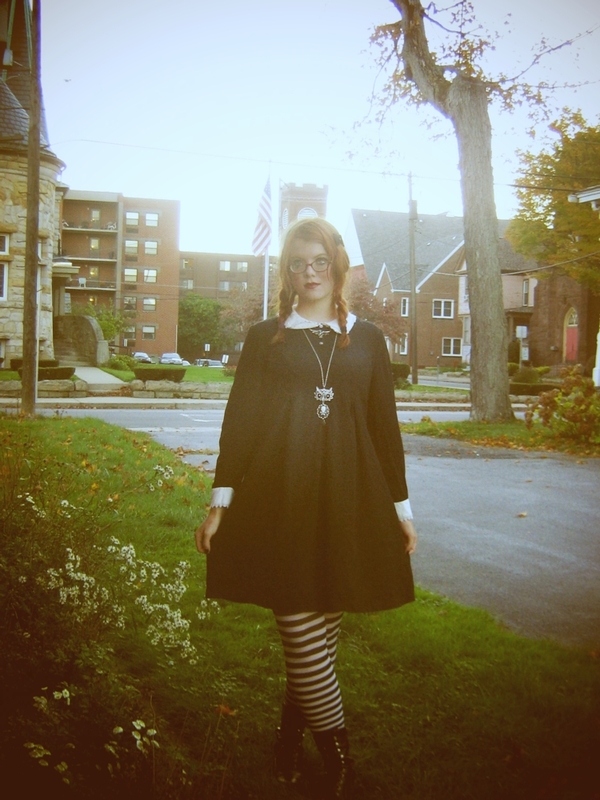 My acre-wide goth streak isn't exactly buried: but it is especially prevalent in October. It is windy and fey and dead leaves skitter eerily across the road! 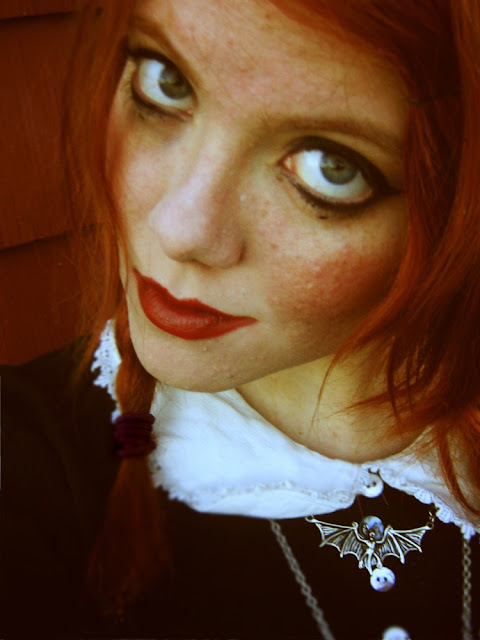 It is high time I pretended to be a gothic heroine! 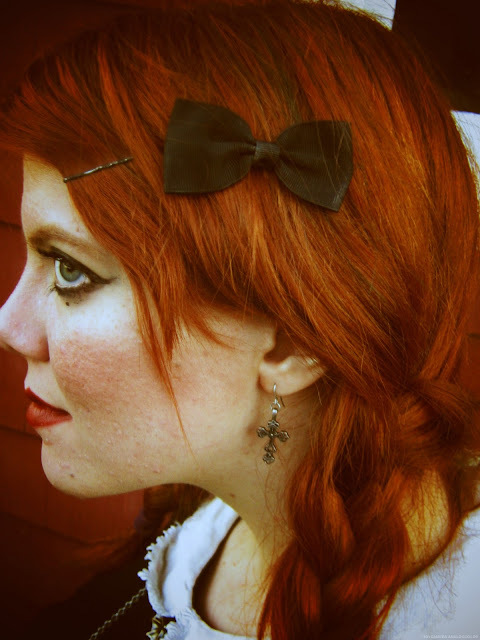 I wanted to wear my black button earrings, actually, but could only find one; and anyway I just snatched up a set of multiple earrings from a Rue 21 clearance rack, including these pretty, elegant little crosses. I try never to be without striped stockings of some kind: these are thigh-highs, as they were about a dollar at Rue 21 and my trusty old black and white stockings are/were in tatters. The problem is that these keep rolling themselves down. Ah well. 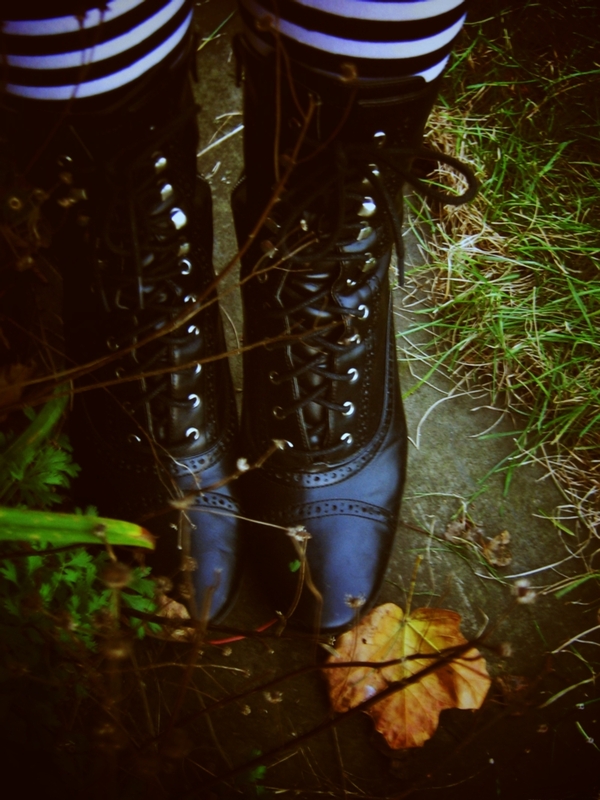 And my beloved granny boots, thrifted by my beloveder Kyra. 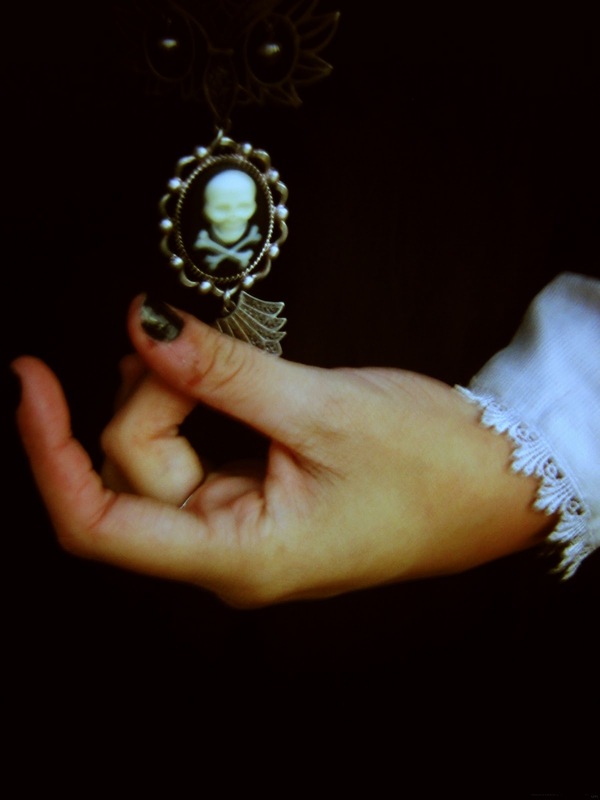 And while I've shown off my little skull-and-crossbones owl (Rue 21) before, I quite liked how this picture turned out, and I quite like the lace on these sleeves. Do you know what immediately jumped to mind when I saw the combination of bat necklace and Peter Pan collar? The bit in Beauty, after she fights wearing the princess dress and ends up in a convent dress...but still wearing the gryphon necklace. Lovely! Love the little bat necklace.